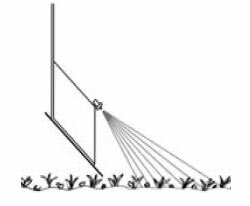 In short crop, early treatment eg weed control, lower the screen so that it is a few centimeters above the ground. 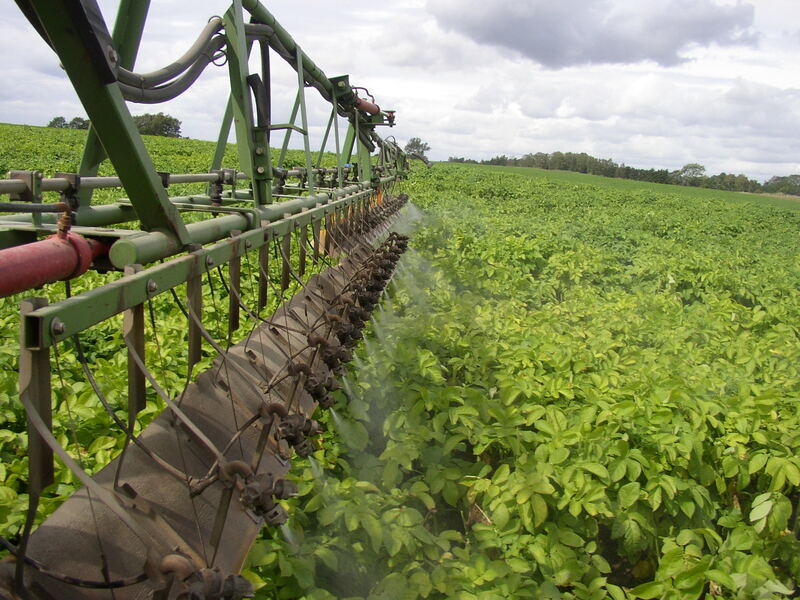 In this case, one obtains, of course, little or no movement / opening of the crop but a short distance between the crop and the nozzle which has proven to be very useful to reduce drift. Therefore, the smaller droplets / lower volume rates used to achieve a good control performance without risking too much drift. In established crops lowers the boom so that the nozzles are placed at the same height as the crop top. Plastic canvas surf then runs softly in the crop and opens this in a gentle way without damaging it. 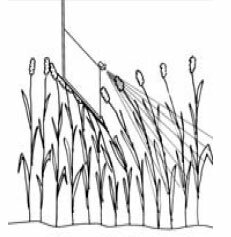 The backward force acting on the boom when the fabric is in contact with the crop stabilizes the pole from the negative horizontal boom movements and allows a uniform distribution is maintained. When driving the canvas to open the crop allowing penetration in this improved without deposition on the ground increased. This can be done thanks to the nozzles is obliquely downward instead of straight down. 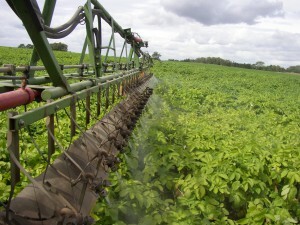 Moreover, the crop moving through the spray shower which improves the application of the plant. In late blight control in potatoes, lower the boom so that the plastic screen is placed at the same height as the crop top. Plastic canvas touches when the crop and you receive little or no movement / opening of the crop but a short distance between the crop and the nozzle which has proven to be very useful to reduce drift. Therefore, the smaller droplets / lower volume rates used to achieve a good control performance without risking too much drift.